Celebrate International Sloth Day in our #slothlife tee’s! Embrace your inner sloth and let the world know it by grabbing up one of these quick! Or slow… whatever. Fresh + fun, these super comfy tees are set to become a talking point in your wardrobe! All you need is your staple denim bottoms and sneakers to complete your look. 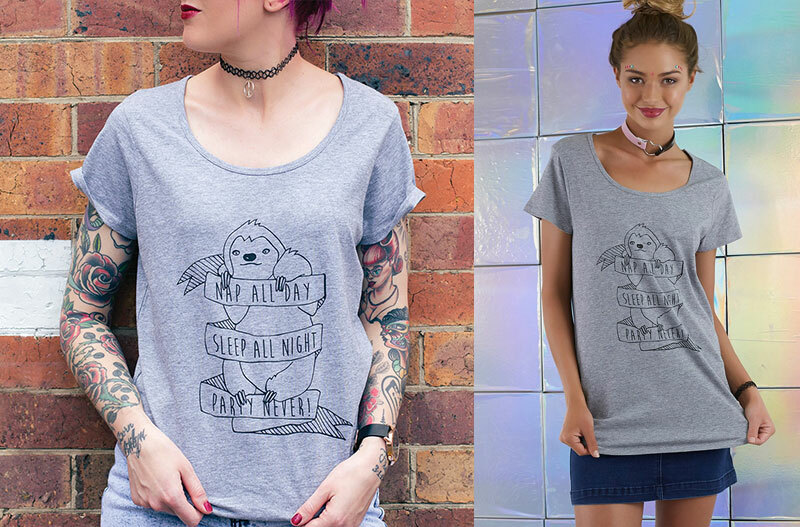 Become the sloth lady you were born to be and shop these seriously sweet tee’s here!